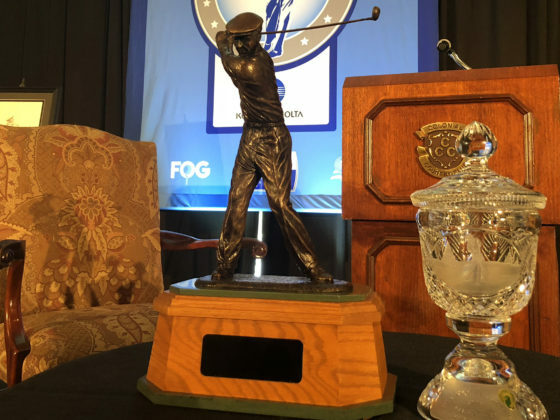 FORT WORTH, Texas – Announcement dates for the 2019 Ben Hogan Award have officially been set, the Ben Hogan Award Committee has announced. The Ben Hogan Award is issued at Colonial Country Club each May prior to the start of the PGA TOUR’s Charles Schwab Challenge. 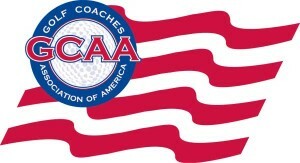 The award’s selection committee takes into account all college, amateur and professional events played over the previous 12 months. 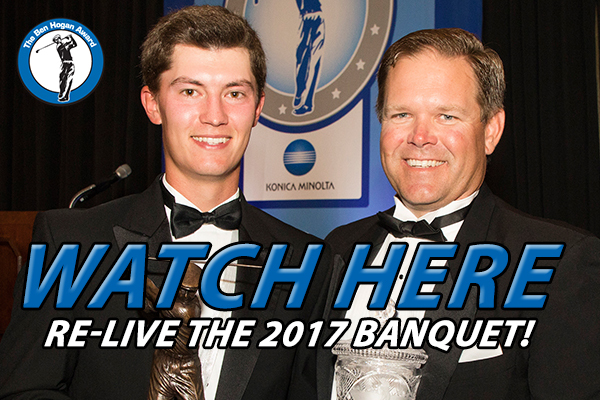 The watch list, which will feature more than two dozen of the nation’s best collegiate golfers, will be unveiled on Wednesday, Feb. 13. The award’s 10 semifinalists will be announced on Wednesday, April 17. 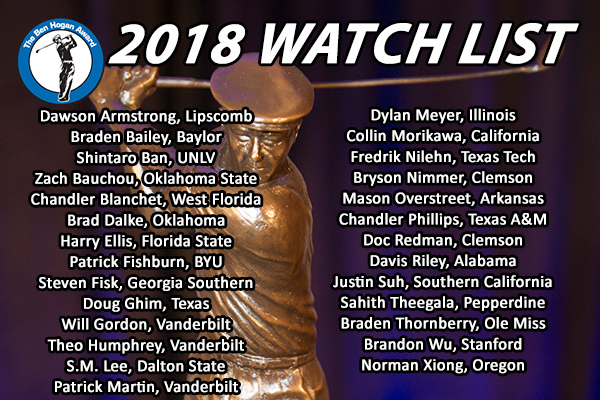 Players not appearing on the watch list are eligible to become semifinalists. 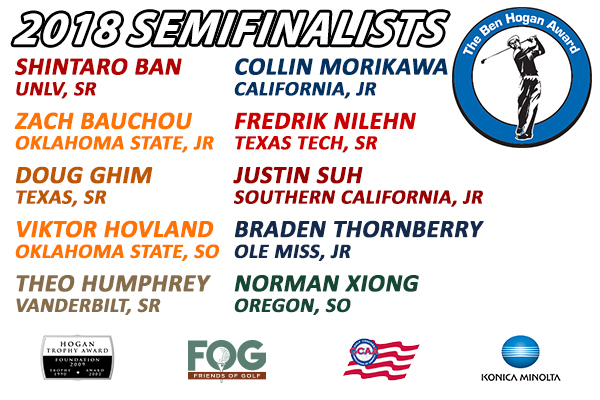 The official semifinalist list will be trimmed to three finalists on Thursday, May 2. 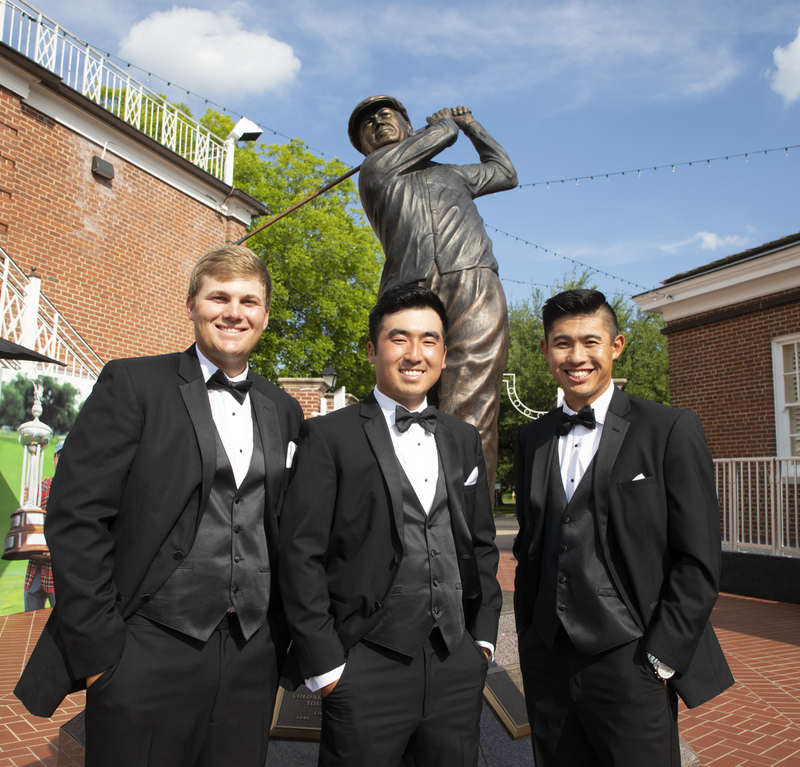 All three finalists will attend a black-tie dinner at Colonial on Monday, May 20, where the winner will be crowned. 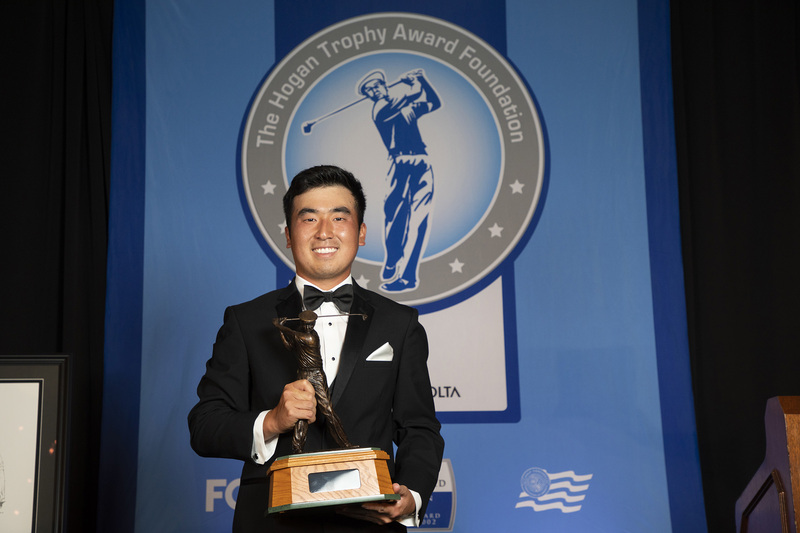 Last year’s winner was Doug Ghim of Texas. 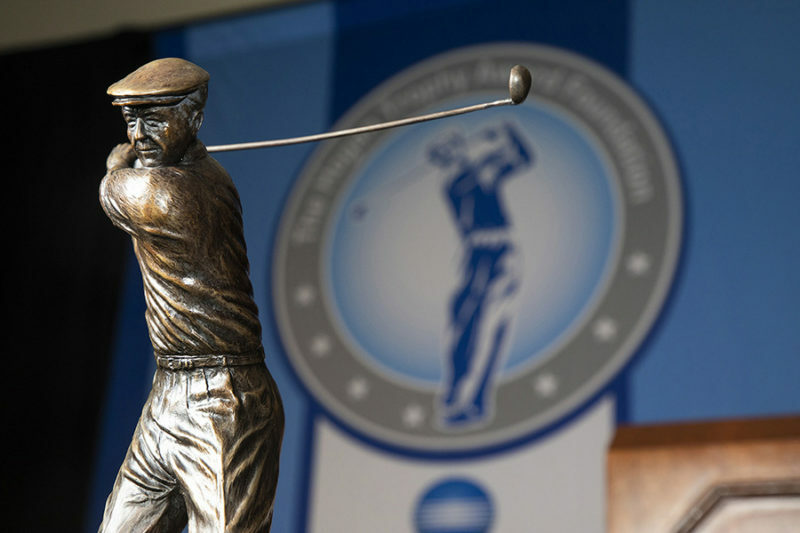 Past recipients at Colonial include: D.J. 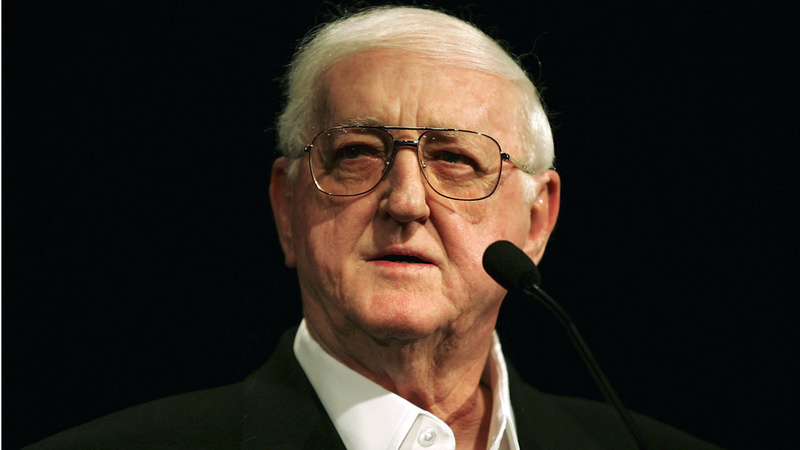 Trahan, Hunter Mahan, Ricky Barnes, Bill Haas, Ryan Moore, Matt Every, Chris Kirk, Rickie Fowler, Kyle Stanley, Nick Taylor, Peter Uihlein, Patrick Cantlay, Chris Williams, Patrick Rodgers, Jon Rahm, Maverick McNealy and Ghim.